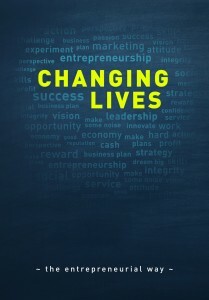 This is an inspirational book for teachers, entrepreneurs or businesspeople. For everybody who’s working with entrepreneurship. I will also like to thank Young Enterprise for their support, and especially Caroline Jenner.